When it comes to innovation and ideas, Chengdu, the capital of Sichuan province, might not spring immediately to mind. But this second-tier city in Southwest China is becoming a major center for startups. It was already a crucial high-tech manufacturing hub for multinationals such as Hitachi Ltd, the tech conglomerate based in Japan, Bayer AG, the chemical and pharmaceutical company based in Germany, and Intel Corp, the tech giant based in the United States. But now it is bringing in fledgling firms. The city has added more than 900 tech startups each month since January, according to local news portal newssc.org. Many of the companies are involved in software development, one of the key sectors in Chengdu. The gaming industry is also huge there following the success of Tap4fun in 2012. Back then, the company’s flagship game Galaxy Empire topped Apple’s mobile app store list in the US. Galaxy Empire put Chinese gaming software companies on the world stage. Others are now keen to follow in Tap4fun’s cyberspace footprints. Li Wei is founder of the video game testing company TestBird and has no regrets about moving to Chengdu. “The operating costs are half that of Shanghai, which is substantial,” said Li, whose company focuses on testing the stability and performance of mobile games. The former Shanghai-based development director at Huawei Technologies Co Ltd, the multinational telecommunications company, launched TestBird in 2013. “Most of our employees are hired locally. Chengdu is a city known for its leisure lifestyle, but for us, working extra hours is very common,” Li said, adding that the company will go public in the next 12 months, although it has yet to disclose detailed financial information. Second-tier cities across China are trying to entice entrepreneurs such as Li away from the big three of Beijing, Shanghai and Shenzhen by generating a more “laid-back atmosphere” for them to build their businesses. The second-tier cities are rolling out policies and incentives to attract mechanical engineers, software programers and bio-tech specialists. 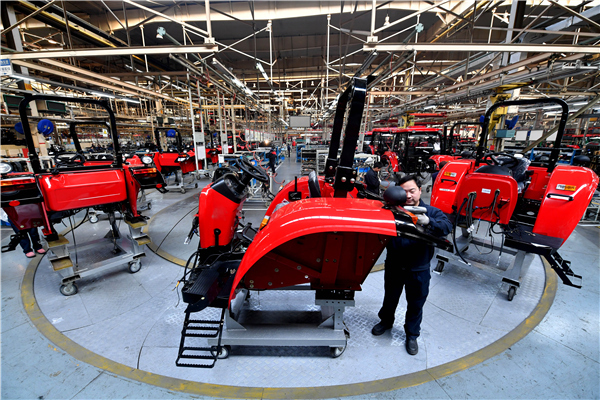 Shenyang in Northeast China, Qingdao in East China, Changsha in Central China, and Xi’anin West China have all announced plans to build their own manufacturing clusters for the robotics industry. Many of the companies will be startups.